The American Shorthair is widely believed to be a direct descendant of the first cats brought to North America by Europeans in the 1600s. Owing to their long history here, they have developed strongly independent, adaptable and friendly personalities. They get along well with people and usually aren’t skittish (even with strangers), but they aren’t cuddly lap cats either. They like to be near humans, but not always to be held or carried around by them. The American Shorthair is a sturdy cat; athletic and strong due to its long history as a hunter. It is fair to say that American shorthair is stronger than most other domesticated cats. In addition to being strong, they are intelligence and adaptable. American Shorthairs are calm, gentle and friendly towards other pets (assuming the feeling is mutual). It is family friendly and a gentle companions for kids. They are an inquisitive breed which make them lovable for adults and more so for kids who love to explore their immediate surroundings. Expect your American Shorthair to go berserk chasing a toy mouse or running after anything that looks remotely like prey. 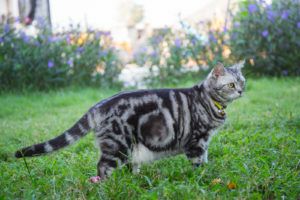 Like with other breeds, many generations of indoor-only American Shorthairs has taken a toll on its once-formidable athletic fitness, but you can easily remedy this with scheduled activity. This breed is not particularly needy, so it won’t be at your sides meowing for attention all the time, but it does need regular activity and playtime. The American Shorthair is very adaptable and can easily adjust to different climates. It is sensitive (it is a cat, after all) but not overly so. It is also highly trainable as cat breeds go. 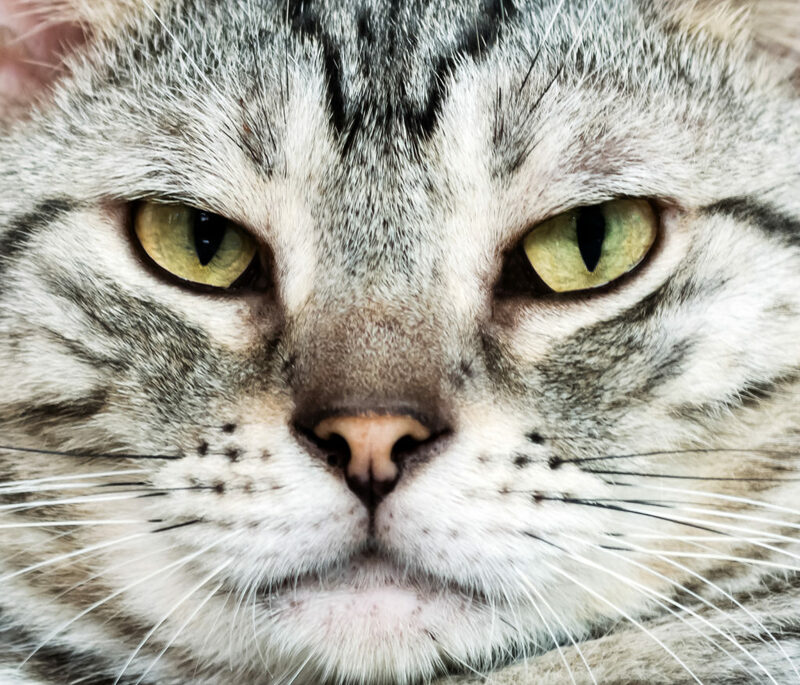 You don’t need to spend countless hours showering attention on your American Shorthair, but won’t do well with neglect either. It still requires moderate amounts of social interaction and affection to thrive and be healthy.